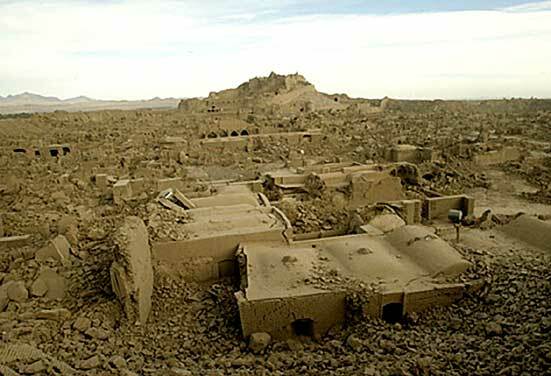 In 5:28 morning of Friday 26 December 2003 (5th of Day in Persian calendar), a 6.6 on the Richter earthquake happened in historical city of Bam, the city of qanat, mud brick and date palm trees, which is situated in nearly 1000 kilometre south east of Tehran, capital of Iran and destroyed many of its quarters. The historical Citadel of Bam, Arg-e-Bam, was seriously damaged in this devastating earthquake. The historical citadel of Bam with area around 200000 m2 is one of the biggest mud brick complexes with around 20 centuries of habitation. 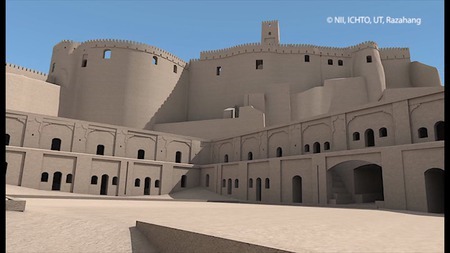 This historical citadel is consisting of different types of architectural buildings such as mosque, bazaar, tekkiyeh (religious plaza), caravanserai, school, bath, Zoorkhaneh (a place for performing traditional sport) and governor section. This section is consisting of stable, barrack, mill and commander’s house. The governor quarter consist of the house of governor, bath, watch tower and four season reception room. 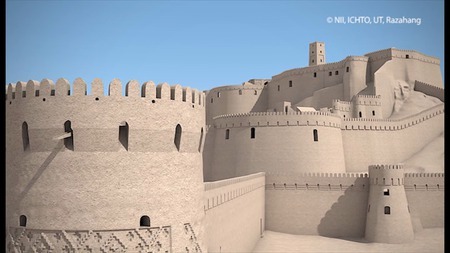 Although there are different hypothesis for original date of this citadel, between Partian or Achaemenian dynasties (550 B.C.-224 A.D); but most of the buildings that existed before the earthquake in the citadel of Bam seem to belong to Teimorid to Qajar period (1381-1921). 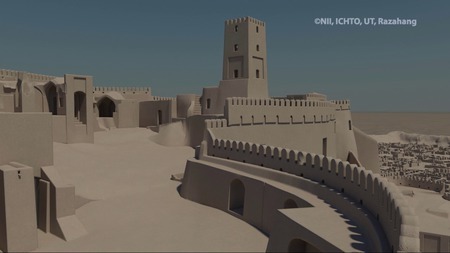 Hence some huge mud brick structures like the great Iwan of the Jamee mosque referred to much older periods such as Samanid dynasty till Seljuk dynasty (819-1186 A.D.). 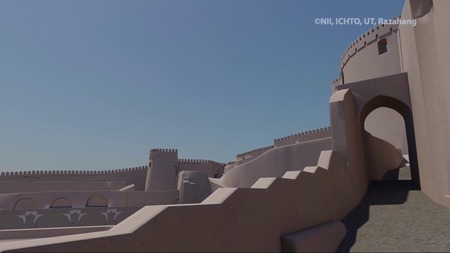 Finally citadel of Bam was evacuated in Qajar Period. Following the destruction by the earthquake, UNESCO inscribed "Bam and its Cultural Landscape" on the list of World Heritage in Danger in 2004 (UNESCO World Heritage Center). 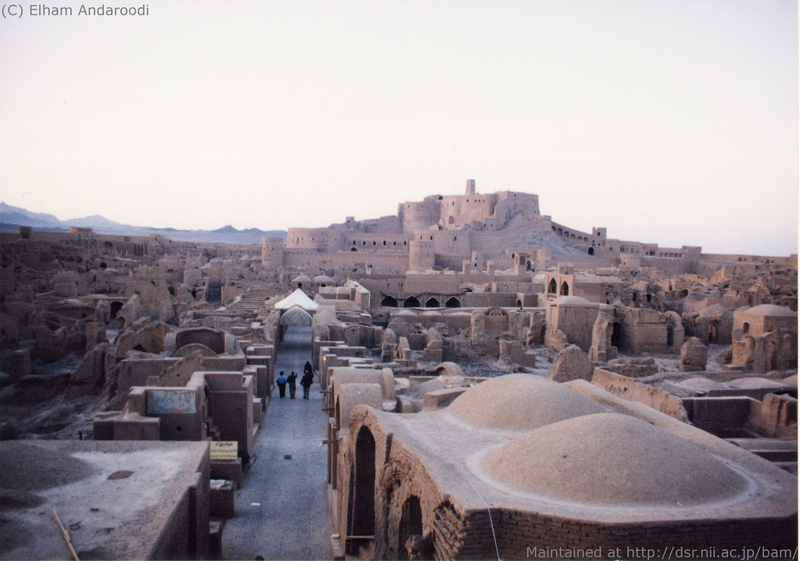 In 2013, the site was removed from danger listing for improvements in the management and conservation (World Heritage Committee removes the Iranian World Heritage site of Bam and its Cultural Landscape from danger listing). The Citadel of Bam is vastly destroyed after the earthquake but this is not the end of its story. Earthquake has made evident the older layers of mud brick structures of citadel of Bam which is extremely interesting for archaeologists. But architects have many lessons to learn from this natural disaster too. Parts of citadel of Bam like stable or barrack still exist and earthquake has made a natural section from them. This makes the structure of the building evident such as the vaults and the roof, which is a great chance for architect to learn the historical structures. The manner of such structures toward earthquake and the reasons for demolishing of some parts or remaining of other parts can give important lessons too. 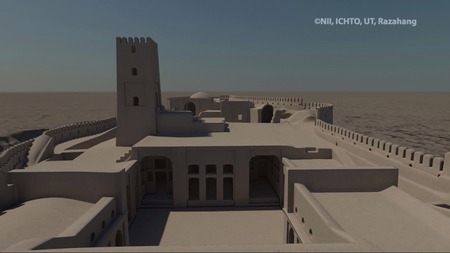 But citadel of Bam belongs to every one, experts or non experts. Under the current situation how is it possible to preserve this building for all people and future generation? This website is trying to find an answer for this question. To keep the memory of the great monument and city of Bam. To gather the data from around the world related to Bam and its remains. To provide a forum for collecting digitized data from all over the world. To allow people from all over the world to share visual and/or textual data of Bam and the Great Citadel. To provide a foundation for the documentation and further reconstitution and restoration of Bam. 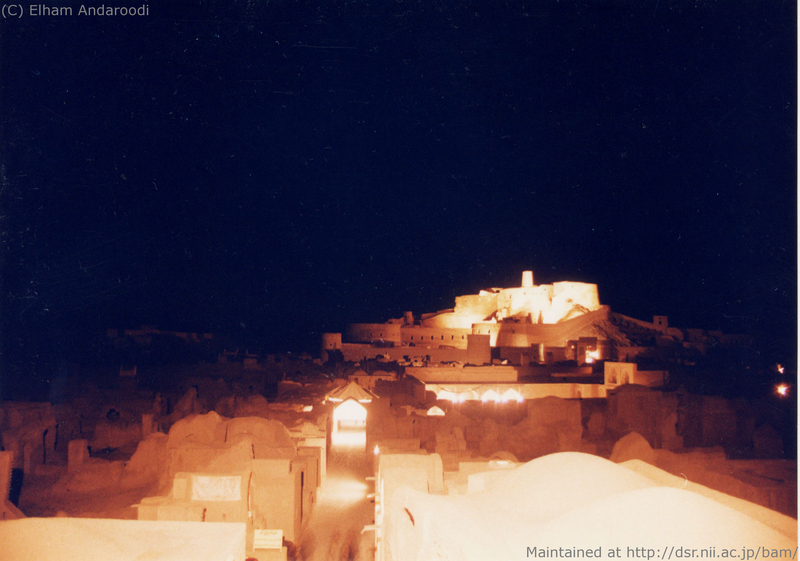 Under the above mentioned aims this website has started to collect the images and photos and the related data of Bam and its cultural landscape, specially Citadel of Bam. Let us share our information of the great city and citadel of Bam to make it everlasting and relief the pain of its demolition. Let us share our survey from before or after earthquake to help the conservation process of this world heritage in danger. The following pages exhibit a set of data sent to us so far. Data for academic and professional use are archived in Bam3DCG. Copyright (C) 2004-2015 National Institute of Informatics and the Owner of the Data. This web site is maintained by Elham Andaroodi, Asanobu Kitamoto, and the Digital Silk Roads team.